The STARS II spacecraft is a nanosatellite demonstrating a mother-daughter satellite configuration. The acronym stands for Space Tethered Autonomous Robotic Satellite II. It was developed at Kagawa University, Japan. 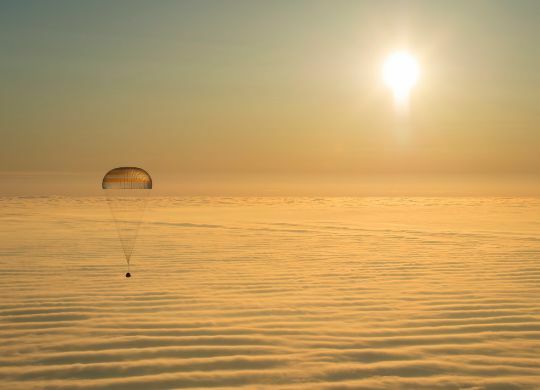 The primary objective of the mission is the demonstration of a tethered electrodynamic system of two satellites as the mother spacecraft features a tether deployment and tension control system that interfaces with a tethered robotic system hosted on the daughter satellite. The mother satellite has a mass of five Kilograms and is 160 by 160 by 253 millimeters in size while the daughter satellite weighs four Kilograms and is 160 by 160 by 158 millimeters in size. 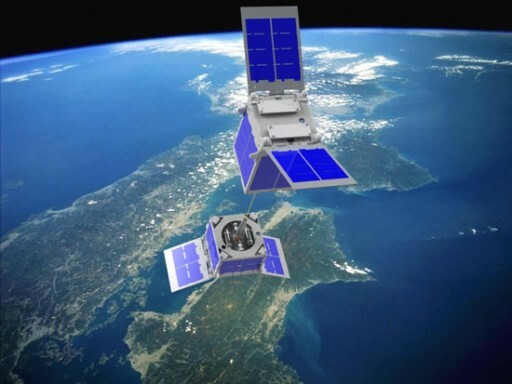 Both satellites are equipped with body-mounted solar panels as well as two deployable solar paddles for power generation. The STARS II spacecraft use independent electrical power systems that distribute the power provided by the solar arrays to the various systems and control battery charge and discharge. 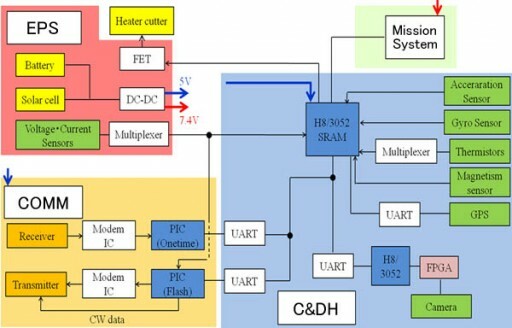 The heart of the satellite is the spacecraft controller that is equipped with a processing unit and SDRAM memory for spacecraft operation that includes the processing of sensor inputs, attitude control, the execution of tether deployment operations, data downlink, command execution and data handling. STAR II uses navigation data coming from a GPS receiver and attitude data provided by a gyro sensor, an accelerometer and a magnetic sensor. Attitude actuation is provided by magnetic torquers. A low resolution camera is installed aboard the spacecraft. The tether deployment sequence is driven by gravitational forces which requires the satellite to hold a defined attitude for the deployment. STARS II will point its daughter satellite to Earth (nadir) and initiate the deployment of the 300-meter long electrodynamic tether. Using springs, the two satellites are pushed apart and the full extension of the tether is accomplished through gravitational forces. In the extended configuration, the tether collects electrons from the plasma environment in space resulting in a current that can be measured for analysis of the environment and the dynamics of the two tethered spacecraft subjected to the space environment. 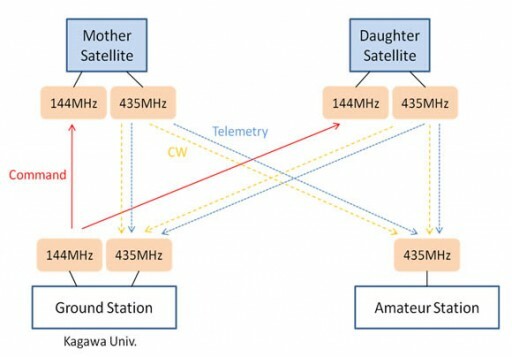 The daughter satellite has a small arm that interfaces with the tether and can be moved into different positions using two motors, allowing the attitude of the stack to be controlled via these motions of the arm. The relative positions of the two satellites can also be controlled by actuating the tether tension device (a reel) hosted on the mother satellite that uses a 50-meter Kevlar tether attached to the electrodynamic tether for tension control. Both methods will be tested and evaluated for attitude control. Communications between the two spacecraft are made via Bluetooth. UHF is used for data downlink to the ground while VHF is utilized for command uplink.